Cash Flow or Bust! 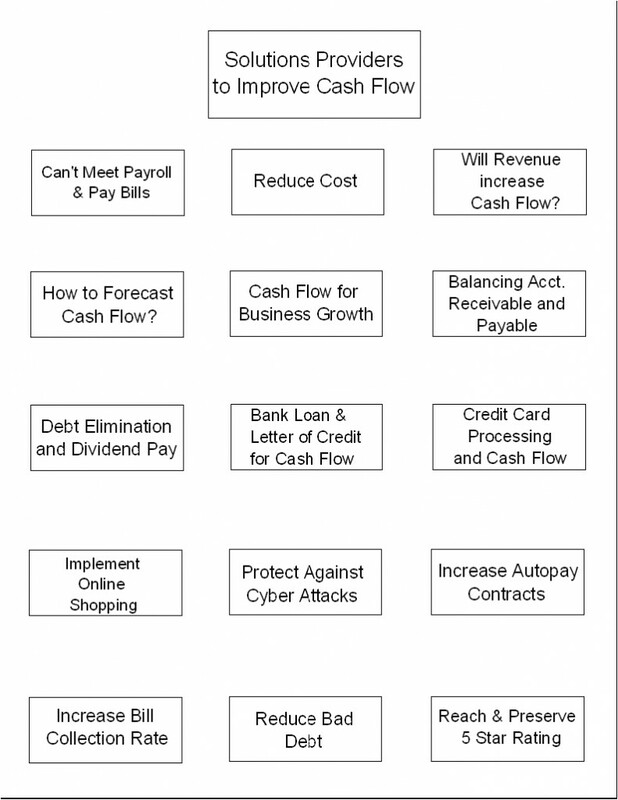 Let’s look at Cash Flow for Small Business. You, as a Small Business Owner, know the importance of having adequate Cash Flow to conduct day to day business without interruptions. A well-managed flow of cash–like a strong heart–is usually indicative of a healthy business, while poorly managed cash flow, or a weak heart, can cause problems that affect the entire business. A desirable way is the holistic way to look at the entire Value Chain – Starting from Suppliers ending with Customers. The entire top management team – Business Owner, CEO, CFO and Functional Managers like Purchasing, Logistics, Sales, etc. must be involved. The faster you move goods to a buyer, the faster the buyer will pay for those goods, and that impacts your cash flow. Therefore, you must ask yourself how you can better improve the speed at which your goods exchange hands. Doing customer credit checks. Perform credit checks on all new and non-cash customers. Offering term discounts. To encourage customers to pay on time, consider offering term discounts. Asking customers to pay by cash or credit card. Rather than sell on term payments, sell on cash or credit card payments. Once you’ve got the cash in hand, deposit the funds immediately. Charging late fees. Indicate on your invoice when payment is due, and specify the penalty interest for late payment. C.O.D. (Collect On Delivery). C.O.D. delivers cost savings and processing efficiencies that improve cash flow. Inventory financing. Have you ever thought about unleashing working capital generated from inventory that traditional banks won’t finance? Credit insurance. Credit insurance can help mitigate the risks by protecting the value of your receivables. To be successful at cash flow management is to make sure all three flows of commerce–goods, information and funds–are working together to accelerate the movement of money through your supply chain. If you have not gone through this analysis process and you need help, you should go to Small Business Solutions Shopping Mall to find solution provider(s).